A Goal Too Short Do most coaches and mentors stop just one goal too short? Many of us are aware of the intense dedication, discipline, and hard work it takes to become a champion; which is why we continue to be awed by those few who push through the pain to separate themselves from the masses. Yes, some of the best athletes may have been born with superior genetics and natural abilities, but for most it was following the direction of great coaches or mentors that helped pave their road to victory. Skillful instructors can be equally committed to achieving one's goals, and ultimately create a support system like no other ... but after it stops, can such care and attention become detrimental to one's chance of sustaining success? Is it possible that many considered to be among the best of the best may later suffer from codependency, or face an identity crisis which leads to other forms of addiction? Coaches and mentors stop one goal too short when they don't prepare their pupils to fulfill a higher purpose. 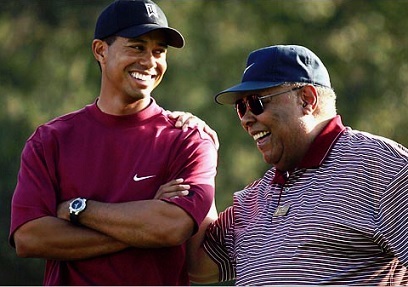 I'm not writing to place judgement on some of America's greatest champions, but I am left wondering if Tiger Woods would have swayed off course if his father, friend, and role model Earl Woods hadn't passed in 2006, or if Mike Tyson would have made some of the poor life choices he did if Cus D'Amato were still in his corner? Perhaps the aspirations of becoming heavy weight boxing champion or greatest golfer in the world could have been tweaked in a way to encompass a greater destiny. Everyone is so eager to strike it rich or reach the top of the ladder, but how many aspire to do something meaningful after they get there? When we visualize our goals with the plan to pay it forward, once achieving them, we attract an energy far more powerful than the void carried by those out solely for self-gain. 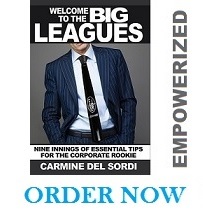 The act of winning or accomplishing a major goal creates a climax that goes unrivaled. After many get their hands on the prize, they will not regain the high until victory is repeated ... again and again. This unrealistic mindset led cyclist Lance Armstrong to blood doping, and caused talents like golf's John Daly, and baseball's Dwight Gooden and Darryl Strawberry to turn to drugs or other familiar self-destructive vices like drinking and gambling. In essence, many of the world's best opted to lie, cheat, and steal, or adopted other self-sabotaging behaviors to either sustain the high of victory or mask the painful reality of feeling unfulfilled. The truth is that one does not have to be a professional athlete or celebrity to face such trauma, we can all experience it. It may have taken a little time but Mike Tyson has changed his stripes to pursue a cause bigger than himself. In 2012, Tyson formed the Mike Tyson Cares Foundation, where the mission is to give kids from broken homes "a fighting chance". I will become heavy weight boxing champion of the world ... and use my title, fame, and fortune to help children from broken homes strive to reach full potential. If Mike Tyson committed to the amended and more purposeful vision above at the onset, would he have crashed the way he had? This is impossible to answer, but the fact that Tyson now wants to give back by helping children to avoid the mistakes he once made proves that Tyson is now on course to fulfill a more meaningful destiny. I will become the CEO of a Fortune 100 Company ... and use my position to better the lives of thousands of employees, as well as the overall industry, while leading a most ethical, sustainable, and admired organization. I will become a US Senator ... and use my term to serve the best interest of the American people, while never compromising my integrity for the sake of reelection. I will use this position to continue to give back to future generations by building a better America. Our ability to consistently pursue both career and life with conviction increases when we aspire to give back and help others. When we serve a purpose greater than the ego, we will never be misguided or find ourselves one goal too short.